Fitted with extra strong mesh and a pressed steel toe board the SCP Ladder Access Gate is an ideal solution to prevent falls from height from Ladder Access Areas. The SCP Ladder Access Gate connects to the scaffold using two pressed steel couplers that are welded into place on the gate bracket. A robust, long lasting spring ensures the gate cannot remain open or move around in high winds. 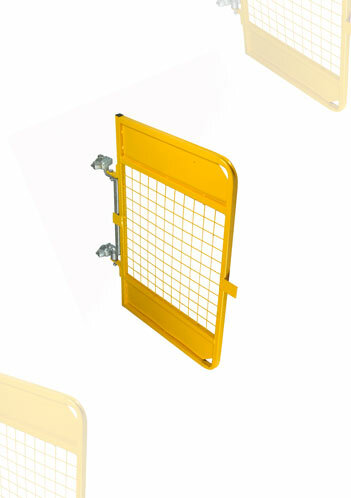 The durable, hi visibility yellow Powder Coated finish provides long lasting corrosion protection and an easily identifiable access point on the scaffold.